Did you enjoy your last camping trip? The most recent book you read? That last ice-cream? Whether you’re one for the city or country, you can’t deny the integral role our planet’s natural habitats play in our lives. 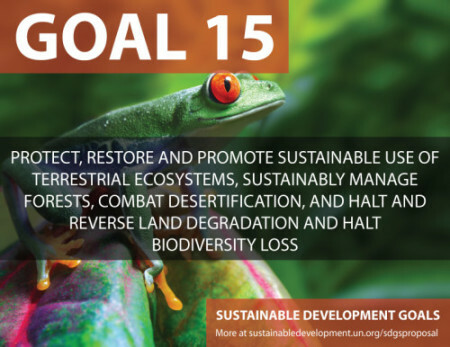 We rely on forests and terrestrial ecosystems as a source of food, materials and ingredients for products, and livelihood – and SDG number 15 SDG number 15: Protect, restore and promote sustainable use of terrestrial ecosystems puts it at the forefront of our future. …..the more forest we lose, the more biodiversity we lose, resulting in reduced crop productivity (less food!) and value. ….the more forest we lose, the more climate change we experience – deforestation accounts for up to 15% of global emissions – which increases desertification (the persistent degradation of land) which already negatively impacts 1.5 billion people globally. So far we’ve managed to protect at least 14% of terrestrial and coastal marine areas, but there is still work to do. The challenge of SDG 15 is to take that job seriously. What does SDG 15 mean for businesses? Without seeing the long-term effect we’re having on the environment in plain eyesight, it can be difficult to link it to our daily lives and livelihoods, but businesses have the opportunity to play a central role in changing the game. Looking for somewhere to start? It’s time to think about your supply chain. Where do your materials come from? How are they sourced? 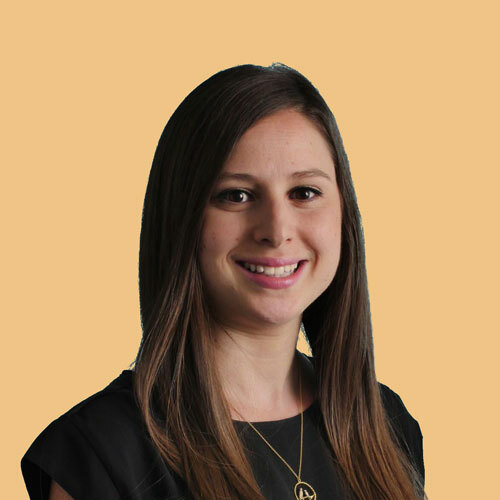 Who are your suppliers and how do they conduct business? Mapping the supply chain will reveal where negative environmental impacts can be mitigated or eliminated and how to positively influence entire industries. Unilever exemplifies this in their commitment to sustainably source palm oil. The widely used ingredient is found in products from soap and shampoo to ice-cream and margarine, and is notorious for being linked to deforestation. Unilever met its target to source 100% of it from sustainable sources and now aims to have full traceability to sources certified as sustainable by 2020. So, if you want to be a supplier to Unilever, one of the largest consumer goods company globally, then your environmental practices have to be up to scratch. More importantly, as a supplier, it’s important to know that Unilever is not alone. Companies can take a collective approach to change industry standards and practices. In 2010, the Consumer Goods Forum (CGF) agreed a deforestation resolution aiming to achieve zero net deforestation by 2020. Driving it forward, the CGF recently released the industry’s first ever palm oil sourcing guidelines to assist consumer goods and retail companies to design policies and implement zero net deforestation. In tune with the CGF, the Banking Environment Initiative developed the Soft Commodities Compact in 2013 to align the banking industry with the CGF’s deforestation resolution. International banks including the likes of Barclays, Deutsche Bank and UBS have committed to ensuring palm oil, soy and timber clients’ activities are consistent with zero net deforestation. Businesses can also do something they are best at and put a financial value on the environment. Leading the way, Puma established the Environmental Profit & Loss Account (EP&L) to measure in monetary terms the environmental impact of their operations and supply chain. Puma’s parent company Kering has since developed it to establish a group-wide EP&L, and their commitment to the environment is evident in their open-sourcing the methodology to enable more companies to measure their footprint. Let’s get serious about SDG 15. It shouldn’t go unnoticed that tackling this SDG will help address some others: deforestation decreases biodiversity and access to clean water (remember SDG 6? ), and in developing countries it can mean less opportunities for rural communities, indigenous peoples and women (remember SDG 5 and SDG 8?). This is an important goal to deliver against and it will not be enough for businesses to consider the environmental impact of their own operations in isolation. To effect widespread change and sustain our natural habitats, businesses need to grow and act on a unified approach which recognises the connections and pressure points across industries and supply chains.